The Polar FT1 is a heart rate monitor watch. Worn like any other watch, the FT1 monitors the number of times your heart is beating per minute and displays that value in large, easy-to-read numbers. It also comes with more advanced capabilities such as providing you with a heart rate summary for each of your workouts and monitoring that your heart rate stays within a preset range during exercise. The device will actually alert you through a visual or audible alarm when you stray from that range. The Polar FT1 has been on the market for several years but has been retrofitted with numerous updates as technology has advanced, such as coded heart rate transmission to avoid cross-talk (interfering signals affecting the accuracy of your displayed heart rate). It is currently available for sale on Amazon for only $43.98. Large, easy-to-read heart rate display. Heart rate can be displayed in beats per minute (BPM) or as a percentage of your maximum rate. Coded heart rate transmission for maximum accuracy and no cross-talk. Visible or audible alarm alerts you when your heart rate strays from target range. Detailed workout summary can be accessed with the push of a button. Comfortable Polar T31 transmitter strap transmits heart rate to watch. Monitoring your heart rate is an important part of getting the most from your exercise program. Depending on your specific goals, there are different ranges in which you should attempt to keep your heart rate during exercise. The Polar FT1 heart rate monitor watch is an inexpensive piece of equipment which enables anyone to keep accurate tabs on their heart rate during exercise without having to expend any additional effort. Hundreds of reviews of the Polar FT1 have been submitted online, and the overwhelming majority of them are positive. It averages over 4 out of 5 stars across numerous review sites. Of the benefits touted by reviewers, the one brought up most often was comfort and ease of use. Being comfortable during exercise is paramount; any piece of equipment which makes working out more difficult or uncomfortable than it already is will not be used for long. Reviewers report that the chest strap and wristwatch components of the Polar FT1 both fit very comfortably on a variety of body types. Many users stated that they could not even tell they were wearing a heart rate monitor once they started exercising. The simplicity of the display and one-button functionality also was cited as a benefit by many users. Many heart rate monitors, according to numerous reviewers, are so complicated and bogged down with unnecessary features that the user must slow down his run and scroll through a bunch of minutiae just to obtain the simple, pertinent information for which he is looking, such as percentage of heart rate max. The Polar FT1, in comparison, displays either beats per minute or percentage of maximum heart rate in large, bold numbers so a quick glance at the screen during exercise is all that is needed. The Polar FT1’s additional features, such as range monitoring and compiling workout summaries, both are very helpful and very easy to access, according to dozens of online reviewers. The product’s one-button functionality makes it simple for all users, regardless of technological savvy, to access quickly the information for which they are looking. In case there is any confusion at all, the user guide is detailed and easy to read, as many users pointed out in their reviews. Also mentioned in countless reviews was how impressed people were that they could obtain such a high-quality, useful, and easy-to-operate product for under $50. The online review sites were almost bereft of completely negative reviews of the Polar FT1, but a few reviewers pointed out some things they wished the product offered but did not. This is strictly a heart rate monitor, so for anyone also wanting a machine also able to count counting calories burned, steps taken, or distance traveled, the Polar FT1 is not capable of this. 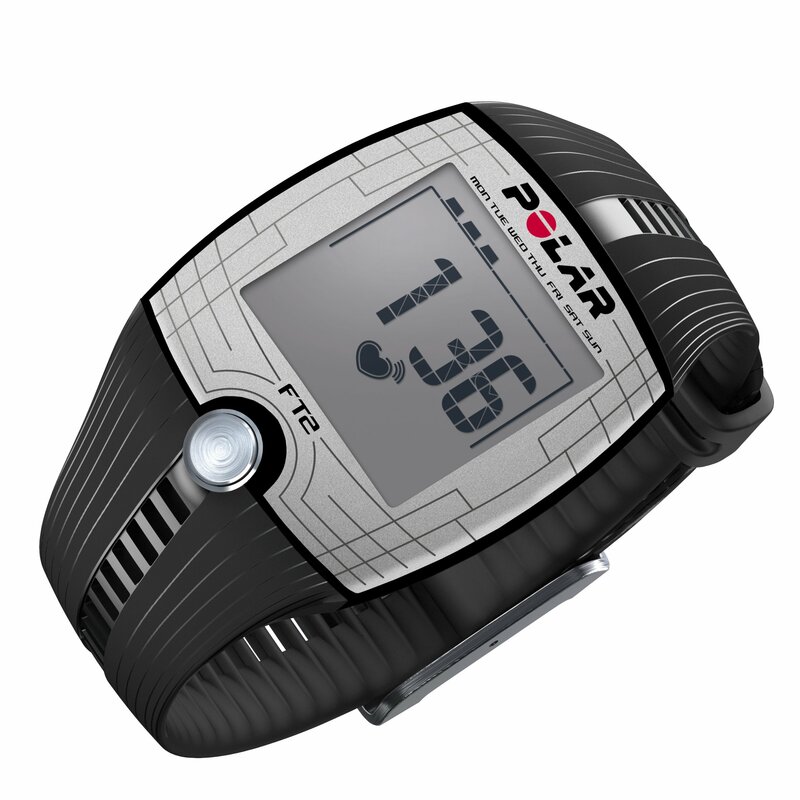 Also, the Polar FT1 is designed to monitor heart rate strictly during exercise. A couple users were disappointed to learn this, as they wanted a product they could use to monitor their resting heart rates constantly throughout the day. The almost unanimous endorsement of this product by those who have purchased it online indicates that the Polar FT1 heart rate monitor watch is a smart buy for anyone wanting to take this important step in getting the most out of his or her workouts. Juxtaposed with competing heart rate monitors, the Polar FT1 appears to provide a superior value. The Omron HR-100CN, for example, is marginally less expensive, but it received less favorable reviews online, is more limited in its features, and users report it to be less user-friendly than the FT1. All of the aforementioned points hold true for another inexpensive competitor, the Timex Personal Trainer Heart Rate Monitor, as well. The Omron HR-310 is the most comparable heart rate monitor watch from a competitor, but it offers no more features than the Polar FT1 and is over 50% higher in price. The Polar FT1 should be at the top of the list for anyone looking for a low-priced, highly functional, and easy-to-use heart rate monitor watch.